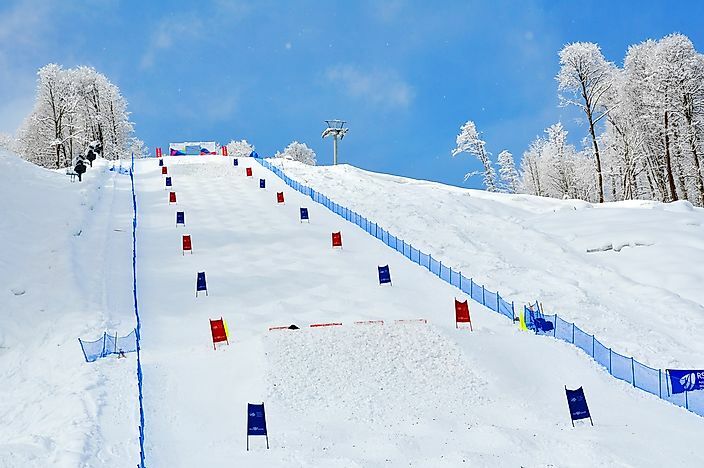 Alpine skiing, ice hockey, ski jumping, snowboarding are some of the sports events held during the Winter Olympic Games. The Winter Olympics occur every four years. 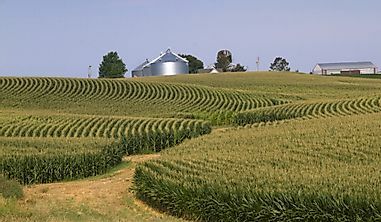 Photo credit: Singulyarra / Shutterstock.com. The Winter Olympics is an international sporting competition which is held once after every four years. 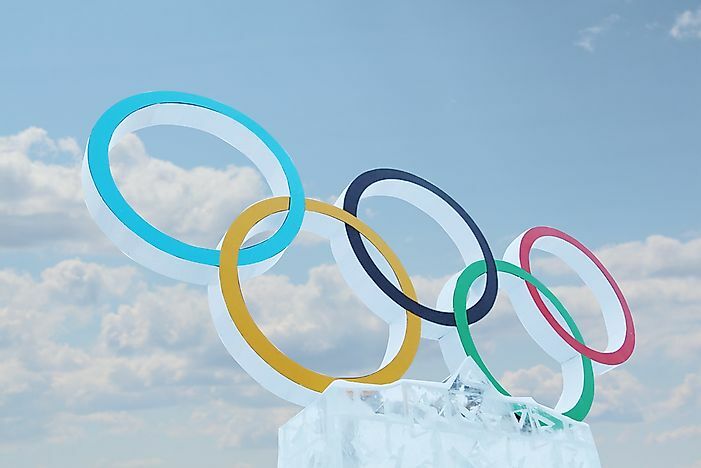 The Winter Olympics emerged in the early 20th century after the success of the Summer Olympics with the inaugural Winter Olympics taking place in 1924. 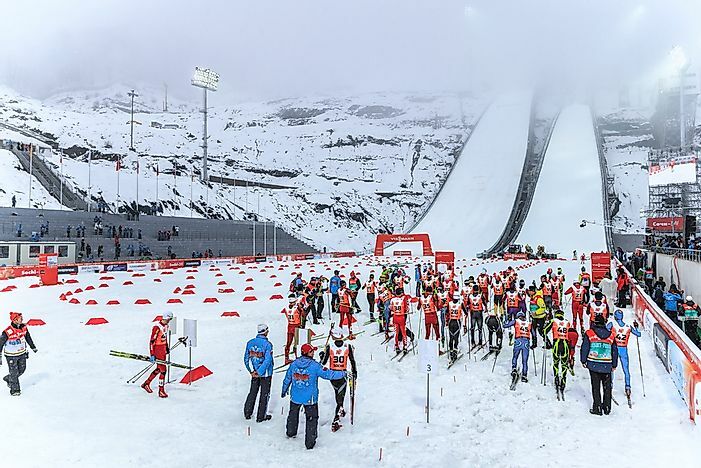 The sports featured during the Winter Olympics are those which can be played in winter conditions of ice and snow. Photo credit: Martynova Anna / Shutterstock.com. One of the main sports during the Winter Olympics is alpine skiing which involves skiing down a steep snow-covered slope. Alpine skiing was introduced to the Winter Olympics in 1936 and has been a regular feature in every Winter Olympic except for the 1940 Winter Olympics. 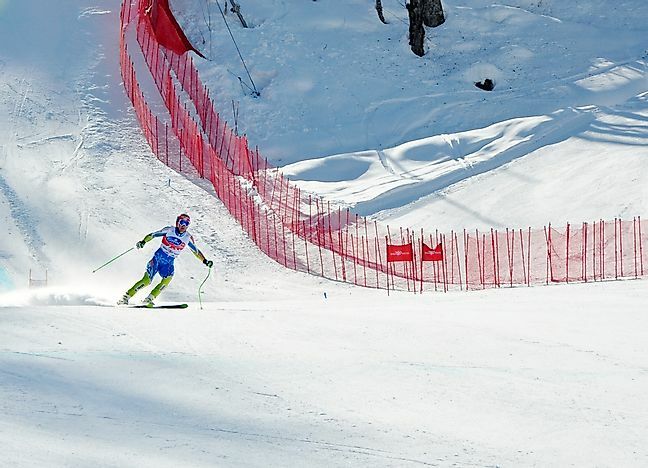 Austria has won more alpine skiing events than any other country with the country’s athletes amassing a total of 114 medals, 34 of which were gold medals. Another popular event of the Winter Olympics is the biathlon. 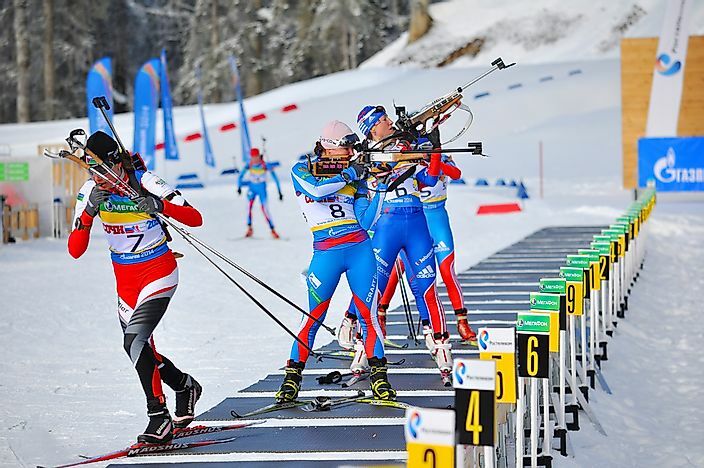 The biathlon is among the most challenging sports of the Olympics because it is a combination of rifle shooting and cross-country skiing. Competitors commence the biathlon with a cross-country skiing race while engaging in at least two shooting rounds. The entire skiing course ranges between 12 miles and 3.7 miles while the shooting range is 150 feet. The biathlon was officially introduced to the Winter Olympics during the 1960 games. Photo credit: Iurii Osadchi / Shutterstock.com. Bobsleigh is a popular winter sport which was invented by the Swiss in the late 19th century with the first sleigh tracks being constructed in St. Moritz, Switzerland. The sport involves competing teams racing down a twisted, iced track on a gravity-powered, high-tech sled. Bobsleigh has been a popular event in the Winter Olympics and has featured in every Winter Olympics since 1964 and is made up of two-woman, two-man, and four-man races. 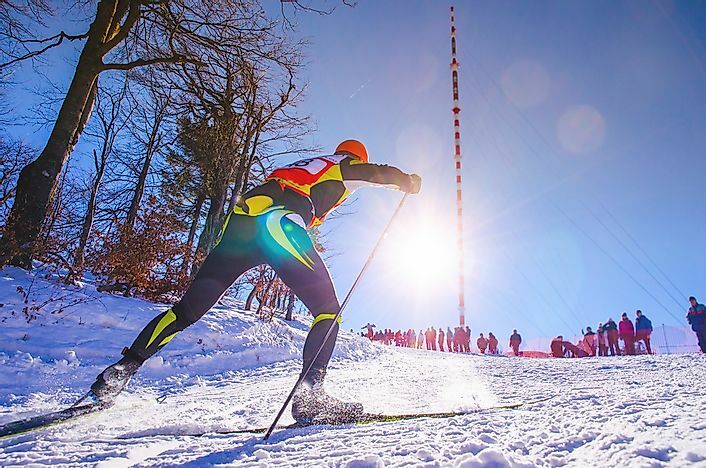 Cross-country skiing is the original form of skiing and defers from alpine skiing as skiers have to rely solely on skiing for movement across the terrain instead of using ski lifts. Cross-country skiing in one of the main events of the Winter Olympics and is also among the oldest events in the games. Men cross-country skiing was first introduced to the Winter Olympics during the inaugural Winter Olympics of 1924. 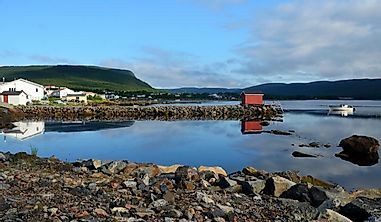 The country with the highest number of Olympic wins in the Cross-country skiing event is Norway which has amassed 40 gold medals. Photo credit: Herbert Kratky / Shutterstock.com. Curling is another popular event of the Winter Olympics. 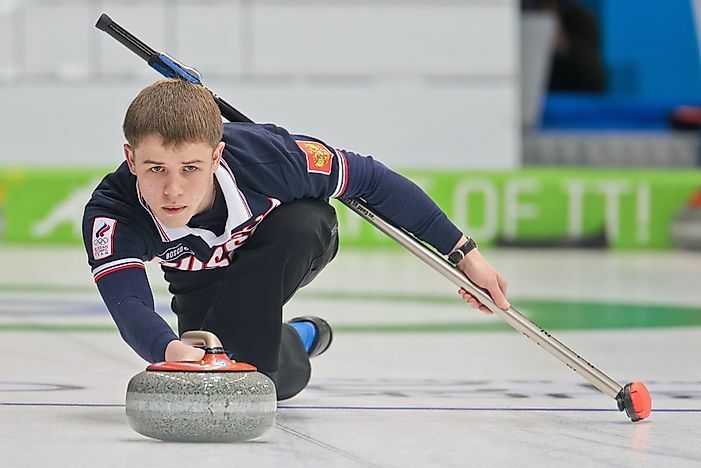 The game involves competing players who take turns to slide granite stones upon an iced surface towards a target marked by a series of circles which resemble a bulls-eye, an activity which involves accuracy and precision. Curling was introduced to the Winter Olympics in the inaugural games of 1924 but was officially recognized as an Olympic event in 2006. Canada has won the highest number of Olympic gold medals (5) in curling. Photo credit: Diego Barbieri / Shutterstock.com. Figure Skating is a popular winter sport and involves competitors who perform as individuals, duos, or groups on an ice rink using figure skates. Figure skating was so popular that is was the first winter sport to be featured in the Summer Olympics. The sport was among the first events during the inaugural Winter Olympic Games of 1924 and has been a regular event in every Olympic since. Freestyle skiing is a skiing discipline which involves aerial maneuvers, half-pipe skiing, and mogul skiing. Freestyle skiing is a relatively new event to grace Winter Olympics as it was officially recognized in 1992 after being showcased as a demonstration event during the 1988 Winter Olympics. 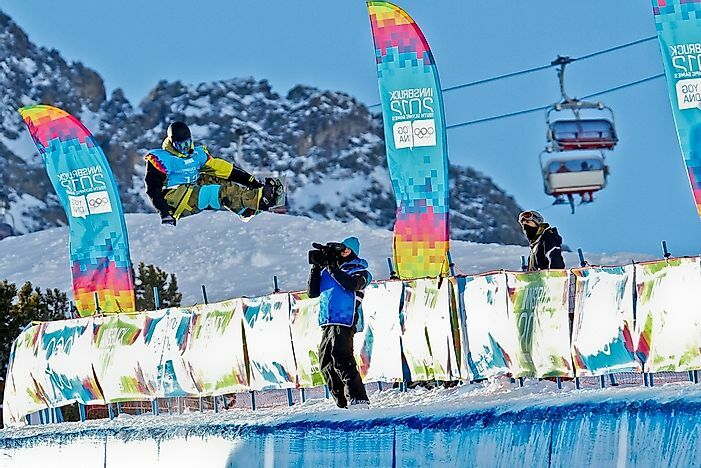 There are ten freestyle skiing events that take place during the Winter Olympics. Photo credit: Paolo Bona / Shutterstock.com. Ice hockey is played on an ice rink. Ice hockey was originally an event during the 1920 Summer Olympic Games but was later transferred to the inaugural Winter Olympics of 1924. 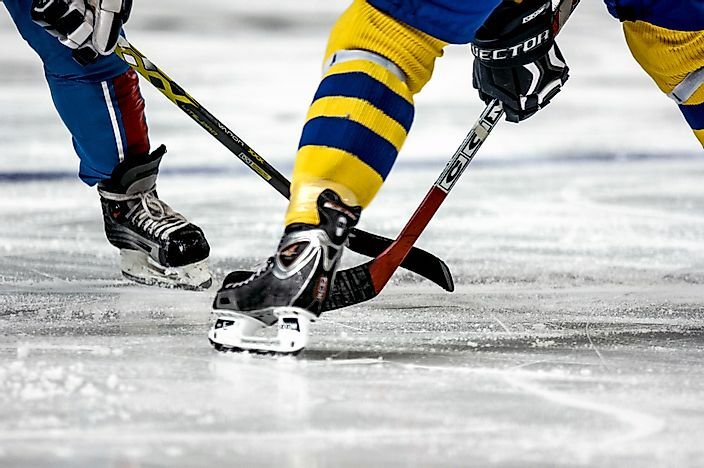 The sport is governed by rules set by the International Ice Hockey Federation and the Olympic events are subject to the anti-doping rules set by the World Anti-Doping Agency. Canada is the most successful country in this event winning a total of 20 medals, 13 of which being gold medals. 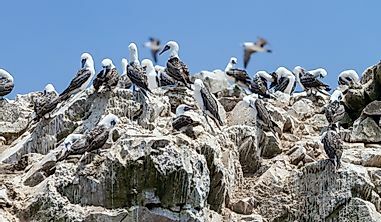 Photo credit: Dainis Derics / Shutterstock.com. 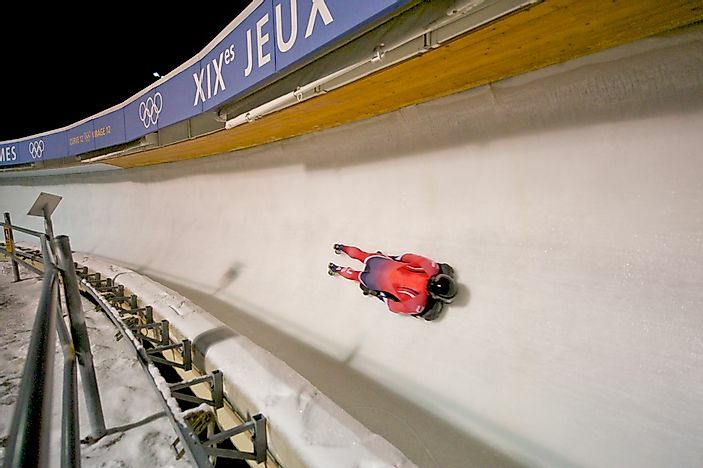 Luge is a winter sport which involves competitors riding on a flat sled down a special ice track which relies on gravity to increase and maintain velocity. Competitors who complete the route at the shortest time are considered as the winners. The sled is interesting as the riders lie supine and embark on the sled feet-first. The Winter Olympics have featured luge events since the sport was first introduced during the 1964 Winter Olympics. Photo credit: eWilding / Shutterstock.com. Another winter sport featured in the Winter Olympics is the Nordic Combined. There are three Nordic combined events which take place in the Winter Olympics, and these are the “10 km individual normal hill”, the “team normal hill” and the “10 km individual large hill.” Norway has the highest number of Winter Olympic medals in the event with 30 medals, 13 of these being gold medals. 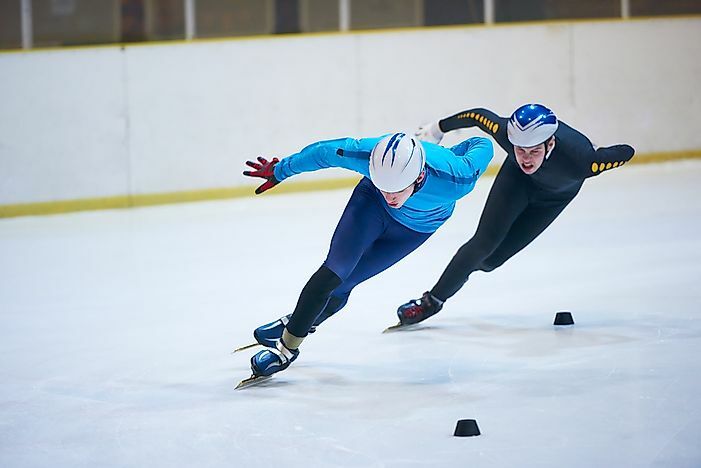 Short track speed skating was formally recognized as a Winter Olympic event during the 1992 Winter Olympics after being showcased as a demonstration sport four years before the 1988 Winter Olympics. The United States, South Korea, Canada, and China have cumulatively amassed 104 medals out of a possible 120 medals in short track speed skating since the 1992 Winter Olympics. The sport is made up of 8 events which involve both male and female. Photo credit: Jeff Smith - Perspectives / Shutterstock.com. Skeleton is another winter sport which is featured in the Winter Olympics. 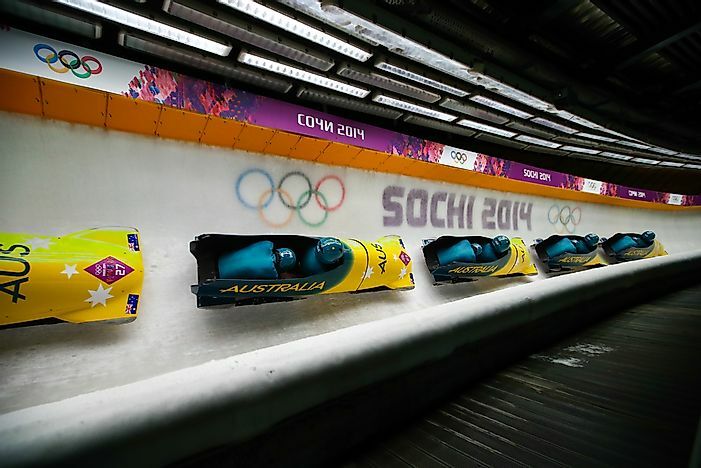 The sport is similar to luge with the two events usually sharing the same track. The main difference is that in the skeleton, competitors lie on their bellies while on the sled and race head-first. Two events make up the skeleton sport during the Olympics. The Winter Olympics features another thrilling sport known as ski jumping. 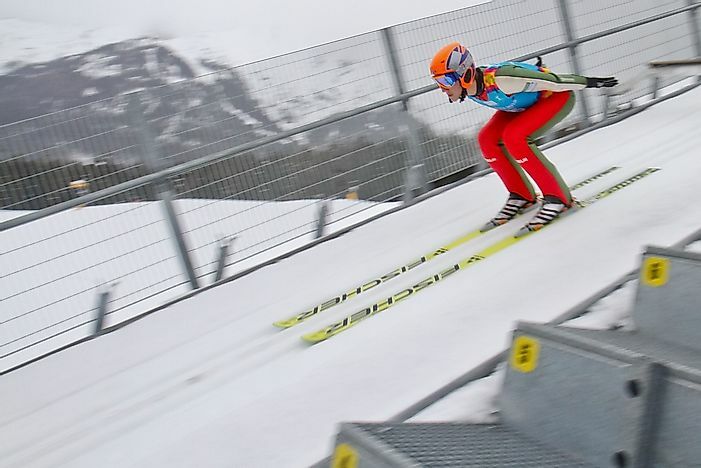 Ski jumping involves skiing down a steep slope and then jumping from an elevated area known as a hill. There are four ski jumping events held in each edition of the Olympic Games with three being a competition for men and one event for women. Snowboarding is a winter sport which is featured during the Winter Olympic Games. 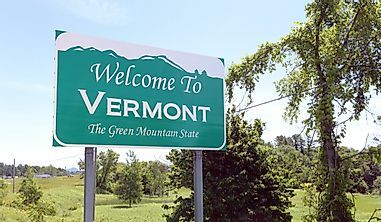 The sport was introduced during the 1998 Winter Olympics and has featured in every edition of the Winter Olympics since. 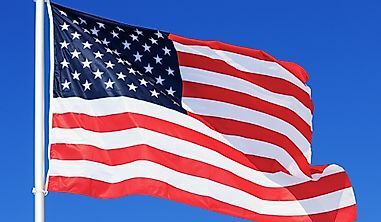 The United States is the most successful country in the discipline, and the country has won 10 gold medals and 24 medals in total in the sport since 1998. 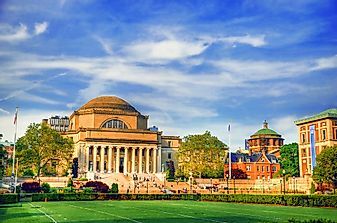 Photo credit: Vladislav Gajic / Shutterstock.com. Another winter sport included in the events featured during the Winter Olympics is speed skating. Speed skating is among the first sports in the competition with the sport being showcased during the first Winter Olympics of 1924. However, the women events were formally added to the 1960 Winter Olympics. The Netherlands has won the largest number of Olympic medals in speed skating, with 105 medals.